The Volvo bus departs from Majnu ka Tilla, New Delhi, at 5.30 pm. As you sit back comfortably in the plush seats, the driver will take you safely to Manali. You will arrive at Manali about 7am. On arrival, you will be transferred to the hotel, where you can freshen up and enjoy a hearty breakfast. After that, be prepared for sightseeing for half a day. This local sightseeing will cover Hadimba Temple, the Monastery, Club House, Manu Temple, Vasisht Temple and Hot Water Springs. You will be staying overnight in your hotel at Manali. After an enjoyable breakfast at your hotel, you will spend the whole day enjoying the sights and sounds of Kullu and Manikaran. Kullu town is the capital of Kullu district. It is located along the banks of Beas River in the lush Kullu Valley. Manikaran is located on the shores of River Parvati in the mesmerizing Parvati Valley. In the evening, you will return to Manali and stay overnight in your hotel. 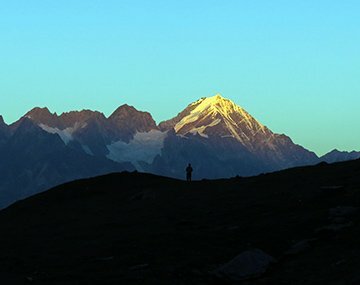 After your breakfast at the hotel, you will depart to Rohtang Pass, until Snow Point. It is closed on Tuesday. You will also go to Solang Valley. This sightseeing trip is in a private car. During the drive, you will be able to stop at Kothi, Gulaba and Marhi villages and explore these gorgeous villages. This subject to availability of a permitted taxi and the trip will incur additional green tax. After the visit, you will return to Manali, to your hotel. After breakfast, you will have some spare time to explore the town on your own. You will be transported to Manali bus stand, from where you will board the Volvo bus to begin your return journey to Delhi. The approximate time of departure from Manali is 4.30 pm. Nestled in the Kullu Valley, Manali is one of the most beautiful hill stations in India. Surrounded by lush forests and undulating hills, the town is awe-inspiring. You will be able to witness the majestic Beas River dissecting the town into two. It is also the town if you want to visit Rohtang Pass, which is covered with snow all round the year. A Manali tour package will allow you to indulge in adventure activities like zorbing, paragliding, trekking, white water rafting, and skiing. The town is also home to several temples, including the Jagannathi Devith Temple and Raghunath Temple. Be sure not to give the 14th century Hadimba Temple. Its wooden architecture is mesmerizing. Manali is also the base town for anyone wanting to visit Lahaul, Spiti and Leh. The fun is in the journey and not the destination. Well, when it comes to Manali, both the journey and destination matter. Both offer you a spellbinding experience. Manali trip is best experienced by road and hence, when you opt for our Delhi to Manali tour package, you embark from Delhi in a luxurious Volvo bus. It allows you to travel at leisure while getting awed by nature’s bounty. You will find the trip as memorable as the days you spend in Manali. We handle every aspect of the Kullu Manali tour package from Delhi - logistics, hotel accommodation, and sightseeing. As a result, you have no worries and can truly enjoy your Manali holiday. Our Manali holiday packages are affordably priced, so you get a bigger bang for your money.